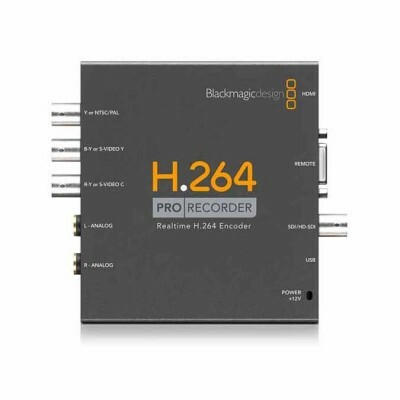 Blackmagic Design H.264 Pro Recorder VIDPROREC Now it's easy to distribute your client's H.264 video files to websites, YouTube, iPhone and even iPad it handles capture from all popular video formats so you can encode directly from professional broadcast decks! 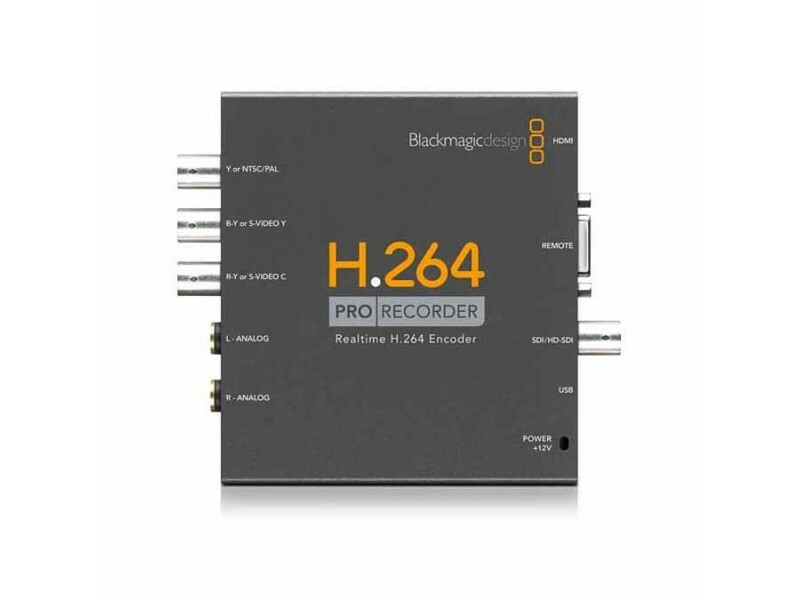 H.264 Pro Recorder allows you to select between SDI, HDMI and analog component video inputs with selection between inputs. You can select to take audio from the SDI, HDMI or stereo balanced analog audio input jacks. 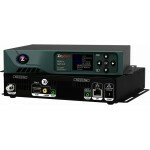 H.264 can be connected directly to HD or SD video sources because the SDI, HDMI and analog component inputs all switch between formats. 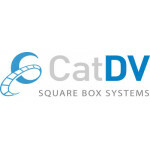 This means you can capture from HDCAM, Digital Betacam, Betacam SP, DVD players and more!